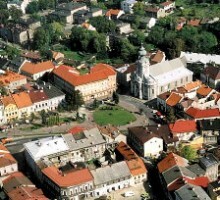 Wadowice – the birthplace of Karol Wojtyla (Pope John Paul II). 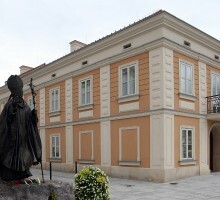 You will visit his home, later converted into museum. Inside the house “where it all began” you may see a rich collection of family memorabilia. Exhibition contains variety of possessions such as furniture, oven, table, belongings etc. 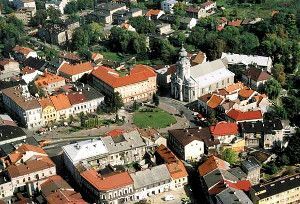 Our programme includes also the visit to Basilica of the Presentation of the Blessed Virgin Mary from 15th century, where Karol Wojtyla was baptized. On the wall you can find the picture of Our Lady of Perpetual Help where the Pope prayed daily. 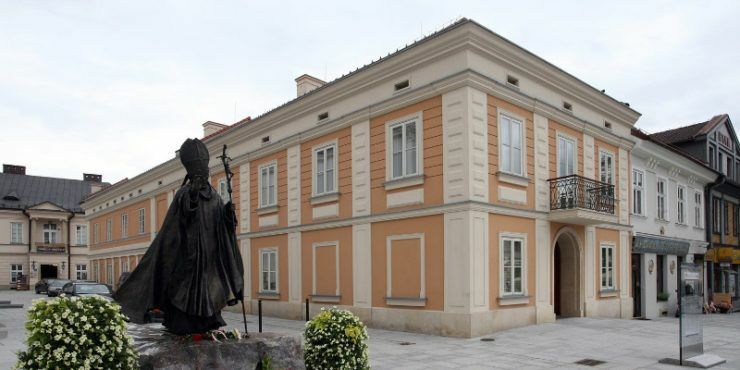 Then we will visit the secondary school and Saint Peters Church, built to express gratefulness for electing Karol Wojtyla in the Papal conclave and saving his life in 1981. After sightseeing you will taste “kremowka”, the favourite cake of young Karol.